Cabin in semi-detached house in Luttorinne area 2 km to the south from the center of Saariselkä. 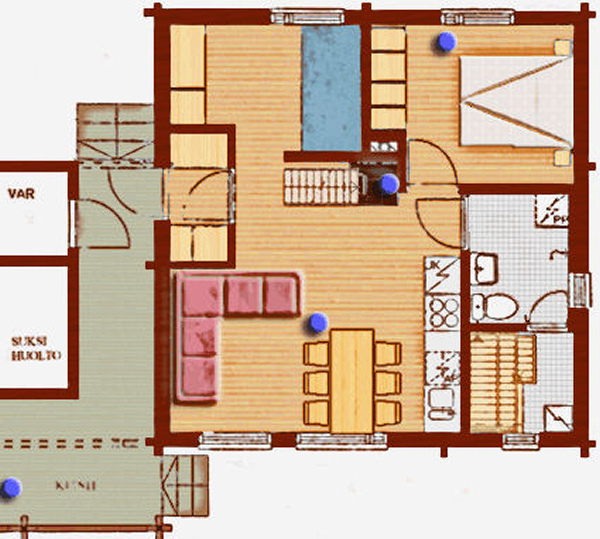 Kitchen-living room, 2 bedrooms, loft, sauna and shower room/toilet. Built in 2000. Size 47+22 m². Renovated 2016. The price includes linen, towels, end-of-stay clean, wood for the fireplace and wi-fi. The price includes linen, towels, end-of-stay clean and wi-fi.